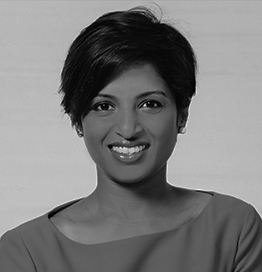 Candice D’Cruz is the Vice President, Luxury Brand Marketing & Management, Middle East and Africa for Marriott International. She is responsible for leading the luxury portfolio that consists of eight distinctly differentiated hospitality brands; The Ritz-Carlton, The Ritz-Carlton Reserve, BVLGARI Hotels & Resorts, St. Regis Hotels & Resorts, EDITION, The Luxury Collection, JW Marriott Hotels & Resorts and W Hotels Worldwide; for the region. In her role, Candice is focused on developing and executing distinctive brand activations and partnerships that support the growth vision for each of the eight extraordinary luxury brands, while looking at unique ways to collectively bringing them together under the MILUX lens. She drives the marketing strategy for luxury hotel openings across the Middle East and Africa, and is responsible for raising awareness around first-time introductions of the brand across the region. Having worked in the Middle East for over 15 years, she has a solid understanding of the region’s cultural diversity. Candice has also worked in diverse markets such as Australia, Belgium and India. A passionate brand marketing and communications specialist, her luxury experience at both global and regional levels provide her with the ability to intrinsically localize global strategies. Previously, Candice was Head – Marketing and Communications for Meraas’ Hospitality division. Prior to Meraas, she worked with Starwood in various roles at property, regional and divisional level – working with St. Regis, The Luxury Collection, W and Westin brands across Europe, the Middle East and Africa. While at Starwood, some of Candice’s most notable achievements include launching the first St. Regis hotel in the Middle East, activating polo and jazz partnerships for St Regis in the Middle East, and managing the collaboration with Waris Ahluwalia for House of Waris Rare in Venice with The Luxury Collection. Candice also championed the marketing and communication effort for the launch of Burj Khalifa and Armani Hotel Dubai, and most recently, she led all marketing and branding initiatives on four new hotel brands for Meraas. Of Indian origin, she currently resides in Dubai, with her husband and young daughter.